Whenever we have the privilege of working with a company that saves lives, we get excited. In the case of airline safety – we have had the opportunity to be part of a team that designs and installs baffling systems inside the fuel tanks of airlines. The baffling part to the equation is that the lack of oxygen created by the technology dramatically reduces the ability of the jet fuel to catch on fire in case of emergencies. 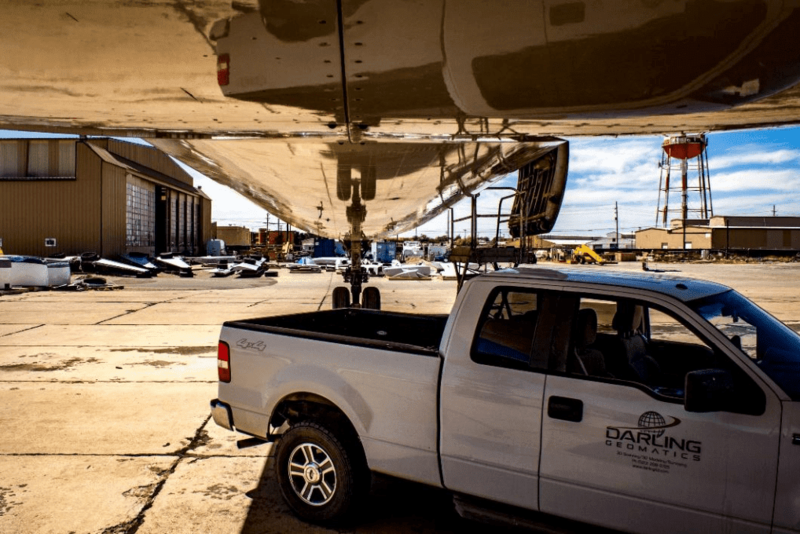 To date, Darling Geomatics has scanned the fuel tanks of 8 different aircraft types: Boeing 737, 737-800, 767, 777, 777-200LR, 747 and Airbus A220 and A219. The Boeing aircraft also include the hip tanks located in the wings of the aircraft. Darling has used two different scanners: the 6000 and the BLK360. Certified specialists set up the scanner in the tanks and Darling crews monitor the scans via an iPad from outside the tanks. Each tank bay is a separate model. The center tanks are underneath the aircraft frame, and the ‘hip tanks’ are in the wings. Our customer, Aesale, uses the Darling 3D models for their AerSafe Solution (AerSale’s fuel tank ignition mitigation solution). AerSafe limits the amount of available oxygen that can ignite fuel vapors through custom designed foam blocks installed inside the tanks. The foam blocks are custom designed and cut based on Darling’s 3D scan and models. 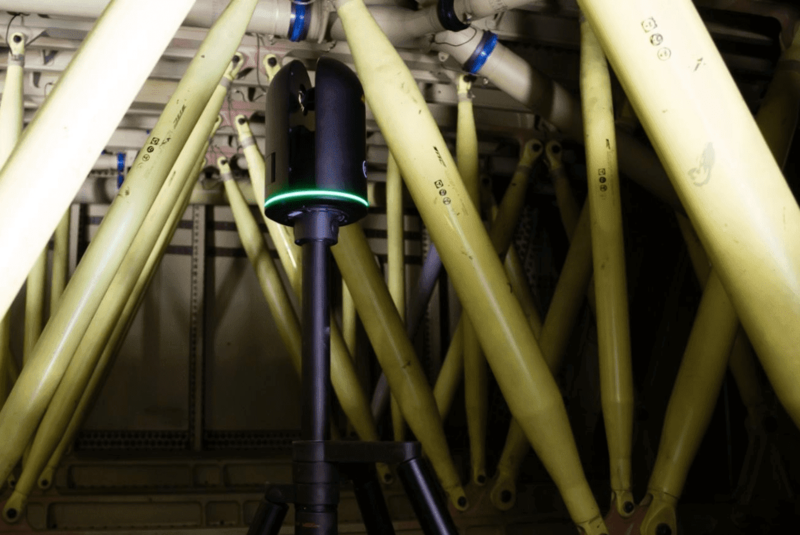 The next time you fly you may be in safer hands with this amazing new technological advance, which combines the capabilities of 3D scanning and the innovations of the Aersale design team to make the skies safer for everyone.